You will find valuable information regarding help and assistance through this, your very sad and troubled time. There are numerous funeral Options to choose from, including our very basic funeral, ( When a family doesn't want a funeral ), used when a family or the deceased doesn't want a typical funeral service. 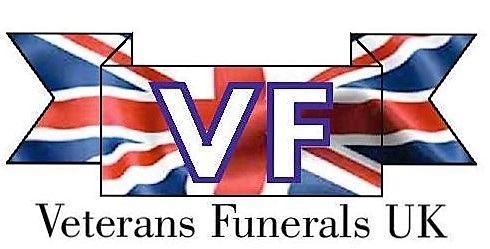 For the larger funerals we have multiple choices such as, a Horse Drawn Hearse with either two, four or six horses leading the cortege, or we can supply a Motorcycle Sidecar Hearse for the motorcycle enthusiast, or maybe you would like a Scottish Piper at the funeral or memorial service. We also have the ability to supply any upgraded coffin or casket, several of our suppliers have an extensive range of very high quality coffins, our catalogues have the ability to inspire and satisfy your every need and taste. We are a family run Funeral Home, located in Spalding and Sutton Bridge. We offer the warmest of sympathy and our full support for every family that we help. Our experienced professionals at Riverside will offer your family a guiding hand throughout the entire process, making sure that every request is discussed and carried out to your exact wishes, either at your home or in our office. You will have a designated funeral director looking after your every wish. We have a professional wisdom gained from many years experience in Long Sutton, Spalding, Sutton Bridge and previously in Derbyshire. We concentrate all our efforts around you and your family giving you the perfect funeral for your family's loved one, on the day of their funeral. If you have no idea on what you would like, regarding a funeral, then we can gently guide you through other options finding you the right option that suits you and your family. Costs are of great importance to many families, so we always bear that in mind, reminding you regularly of any costs incurred, especially if you get carried away with important and costly decisions. We will not let you overspend against your carefully considered wishes, and without you knowing exactly what the cost incurred will be. If you require a quiet and peaceful send off, we will fulfill your wishes, but if you require a grand exit for your loved one, then we have the flexibility to provide whatever you require, and our floral tributes are the very best that this area can offer, with our own florist being very close to us. At Riverside we never forget that we are here to serve you and consider it an honour and a privilege to help those who place their trust in us. Please browse our web site riversidefuneralservicesspalding.co.uk for advice on all aspects for Registering a Death, and for the funeral options and floral choices.